If there’s one money-related skill that not a lot of people are good at, that is none other than saving. Whether you are living on a paycheck-to-paycheck basis or earning more than enough to fulfil your living needs, saving is always a challenge. Why? When you ask money experts about the number one enemy of saving, it’s spending. Once a person receives his or her salary, spending becomes the priority and saving becomes very difficult. It doesn’t even matter how many hundreds of dollars in excess of your expenses you have after receiving your paycheck. If spending becomes your priority, you will never be able to save even a single dollar on a monthly basis. Here, we will be dishing out tips on how you can get started on the process of saving money. But before that, let’s have a quick look at a few things that you need to know about saving. Why is there a need for you to save money in the first place? As mentioned earlier, even if you have hundreds or thousands of dollars to spare, you can use that all up prior to your next paycheck arrival if you do not make it a priority to save. There are many reasons why you should focus on saving instead of spending, primary of which is that it gives you the financial security that you need for future emergency expenses. Sure, you might be paying for an insurance plan for your home, your car or your health, but what if you suddenly find yourself out of a job? This may sound like an unfortunate eventuality to think about but it does happen. To make sure that you have the means to survive in such situations, expert recommend that you set aside at least three months’ worth of your living expenses. Other instances when you would need to pull out funds from your savings include medical emergencies, death in the family, unexpected home or car repairs, vacations, luxury purchases, etc. By simply setting aside a specific amount of money per month, you can rest assured that there’s a savings account you can rely on for such emergencies, impulse buys or long breaks from work. 1. Start by making a budget, and sticking to it. Use a spreadsheet file on your computer or an old fashioned pair of pen and paper. Write down how much total income is being budgeted for the household each month. Let’s say that you are a family with three kids, and both spouses are working. Add income 1 with income 2 and this will serve as your budget for the month. Insurance plans; retirement and college fund contributions. Make it a point to prioritize adding a specific amount to your savings fund. If you can, cut back on your entertainment expenses or find ways to trim your grocery budget so that you can pump up your savings fund. 2. If you can’t find room in your budget for saving, know where to get the extra funds. If, after budgeting, you find out that your funds are a bit too tight, what can you do? How about either the husband or the wife adding a second part-time job for a supplementary income? It can be an actual job at a company, a freelance or per-project gig, or a home-based income earning opportunity. You can even consider going into the online business so that you can earn money even while you are offline. As long as you optimize your website to do most of the work for you, you could make the most out of your online earning venture. With a few more adjustments on your budget as well as the extra funds that you will earn from the additional job, you can set aside a decent amount of savings for your future and emergency needs. 3. Pay yourself first, then make saving a priority. If you have credit card debts, make sure to pay them off first prior to saving money. The interest that will be incurred by those unpaid credit card bills will simply cancel out any amount that you will be saving, so clear your debts first. Next, make it a priority to pay yourself. If you are simply working to pay the bills and don’t have anything left to pay yourself, you may want to look for a higher earning job – or at least get a supplementary income. When you’re several years into your work life, you should be able to earn more than your keep and afford to live a more comfortable lifestyle. By including a specific savings amount as part of your budget, you can make it easier for yourself to prioritize saving. 4. Create a list of short-term and long-term financial goals. What are you saving money for in the first place? If you’re just starting a family, you might be saving up for your kids’ college education and your own retirement. If you’re at that age when the kids have all moved out, you might be saving money for that round-the-world trip that you have always planned once you are officially out of work. If you’re anywhere in between, your short-term goals could be taking a well-earned vacation, or buying your dream car or your dream house. By creating a list of your short-term and long-term financial goals, you can have a more streamlined savings process and see what you are actually saving up the money for. One of the biggest mistakes made by people who cannot seem to set up a savings account is not setting up a deadline for themselves. Whether it’s a long-term or short-term goal that you wish to achieve, setting a deadline will help you get there faster. Let’s say that you are saving up for a family vacation out of the country. When you have a deadline, you can motivate yourself to add more and more money into your vacation funds, and meet your goal head-on. 6. Make it a point to increase your savings periodically. When creating a savings account, you have to make room for inflation. The things that you can buy today with a $500-bill will not be the same as what you can buy for the same amount five years from now. Since you are saving up for future expenses, you want your money to still have value a few years from now, so consider the inflation rate. The best way to do this is by increasing your savings periodically. Make it a point to increase your contributions towards your savings account if you receive a salary increase, if you are earning money from a second job, or if you were able to trim down your monthly budget by giving up things like always eating out or going to the movies. 7. Always track your expenses. 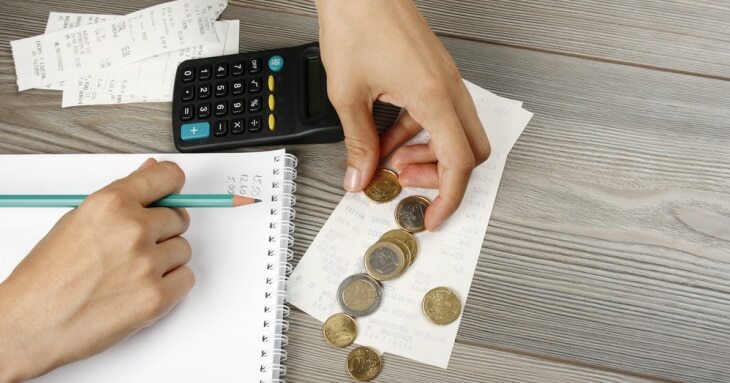 During the process of creating a monthly budget, remember the importance of tracking down your expenses. Doing so will give you a clear idea about where the money is going. How much are you actually paying for all those fancy lattes that you are ordering on the way to work? Or maybe you’re indulging too much on happy hour bills? If you find that you are spending way too much than you intended, scale it back a little. By monitoring the ins and outs of your expenses, you would know when to splurge and when to cut back. Remember that the money that you will save from not overindulging can be used for more important things, such as your own retirement fund or the kids’ college expenses. 8. Reward yourself after saving a certain amount, then start all over again. After managing to meet one financial goal, give yourself a break or a reward – then start all over again. Make it a point to overshoot your savings amount goal the next time and if you do, you can set a higher target and beat that again. Saving money may sound like a huge challenge, but it can be a fun exercise as well. Instead of stressing yourself over how much you are not saving, turn the task into a fun challenge that you should be more than able to meet. Nothing beats the feeling of knowing that should anything happen in the future, you do have the funds to spend for it. By going on the right path for saving, you can set aside a decent amount every month which you can use for future and emergency expenses.